The cold season has rolled around again. Some of us ride no matter what season it is. It takes a special breed to muster up the mind to ride during late fall and into the winter months. The same enjoyment you get riding in the summer months you can get doing cold weather bicycle riding. 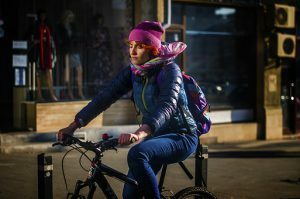 Why Do You Ride Your Bicycle? There are many reasons that each person rides. Some do it for the exercise, some for outdoor activities, some to mingle with family and friends, some for commuting and my favorite for the thrill of it. I have been riding my bike for about three years now and cold weather does not stop me. In fact, I look at it as a challenge in most cases. I have been told by my co-workers that I am an iron man because I ride in the winter even with snow on the ground. The only thing that would stop me is heavy snow or ice on the roads. I like challenges but I am not crazy. No matter how much we enjoy riding we must still consider the safety factor. That includes icy roads, heavy snow and the safety from being exposed to the weather elements. I first realize that it is going to get cold every year so there is no need to shy from it. Then I get my game mind on by being up to the climate and telling myself I am going to win against it. The most important part is to prepare for it with the proper clothing. Last winter I rode in temperatures of 25 and 30 degrees. 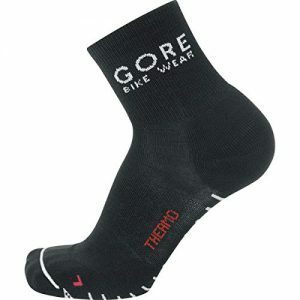 It really wasn’t that bad because I dressed properly and the pedaling sort of builds up warmth underneath your clothing. I remember a few times I actually got hot. The only thing that use to let me know it was cold were my feet and sometimes my hands. But it never got too unbearable. 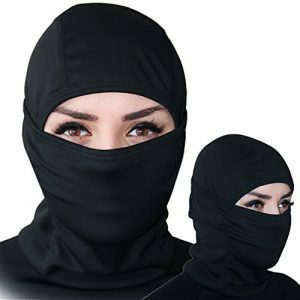 What I did was used a balaclava to shield my face really well, a good pair of gloves and some underclothing like thermals. I had a really good jacket with a hood I could close up pretty good and in really cold weather I would put on a fleece hat under the hood. If you really want to handle the really cold weather you can put on a pair of insulated coveralls and I promise you the cold weather will not be an issue. 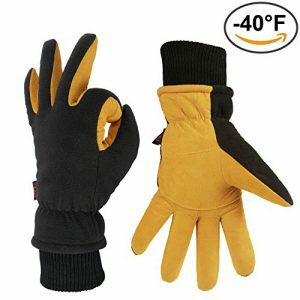 I work at a safety company that sells Carhartt brand clothing and I found out that they make some really warm clothing amongst other distributors. Once you have the right gear it is more of a mind thing from that point. Below are a few items that will help out that you can purchase by clicking on them. Cycling is fun, challenging and good for your health. Plus it helps to save on automobile expenses if you ride as often as you can. 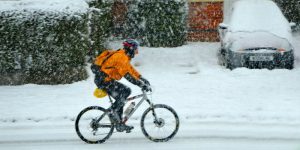 But I want to stress that it is an added risk when riding in cold weather conditions so just be aware of that and take all necessary steps to stay healthy & safe. Below is a video of a trooper like me that makes some good points and it also shows you that there are some of us who don’t back down to the weather when we want to ride out. 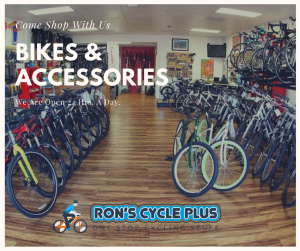 If you want to give it a go this winter visit Ron’s Cycle Plus Store where you can get all your necessary biking needs from lights to clothing and even bicycles themselves. I hope you enjoyed the post and if you have any questions please leave them in the comments section below. I don’t think the cold has ever been what kept me from riding my bike in the winter, although that might have a little to do with it. I think if you were to walk (and I do a lot of walking in the winter) a bike would get you there faster and thus you would be in the cold for a shorter time. It has always been the ice and slippery conditions that scared me off of riding a bike in the winter. How do you deal with the dangers of ice? People don’t ride motorcycles in the winter for this reason as well. I am sure a lot of them would brave the cold if they could ride that Harley all year. And I don’t blame you for worrying about the icy conditions. I ride in cold weather that is all. If it is icy or heavy snow I won’t even try it. I am in Oklahoma where we get snow but a lot of times it isn’t like being where I am from in Chicago. I will ride in low powdery snow but once it sits overnight I won’t even try it. Now if it is just cold with no bad road conditions I will mount up and ride. I liked this article. I just purchased a road bike this summer and started to really enjoy the rides. I would need some serious snow tires up where I live in Wisconsin. Could be fun!! Good work out as well as a way to stay warm while being outside given all the energy being exerted! I’ll have to look into some of this proper clothing!!! Very good. You might want to look into the studded winter type of tire since you mentioned tires. You can do that by going to http://www.ronscycleplus.store and you will see a few. I too love riding my bike in the snow. I find it a lot of fun gliding through soft snow, but of course, it’s always really icy. You have some great recommendations on keeping warm, Carhartt is definitely great winter wear. Is there anything you do personally to help you stay upright in icy conditions? To be honest I won’t try it if it is icy or heavy snow. Now when it is that powdery snow I will ride in it. I generally just try to stay off real congested streets and pay attention to the traffic around me. I also don’t try to ride hard like I normally do. I take some power out of the ride. Sure. What I do is where a balaclava and put some sort of hat over it. This will at least give you some covering over your neck as well as your face and nostrils. Wow. This was a great post. I really need to get back into biking. I was jogging and power walking until I developed a foot problem. I really need to give this some consideration. Thanks again for the post. It will surely give you that physical workout since you are used to doing some kind of work out. I use the bike because I am older and my joints can’t take the beating of jogging anymore. They do have tires made for riding in these conditions. Click Here to have a look at one. It will cost you to change out from one season to the next. But to be honest with you I ride in the winter only if the ground is not icy or has heavy snow. It could be cold and that doesn’t bother me. But bad roads do. I injured my back at the gym recently and have been riding the stationary bike at the gym. I really enjoy it. I live in a warm climate so I have no excuse not to be riding outside in the sunshine. 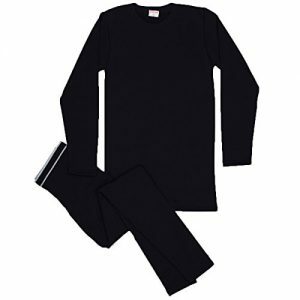 Great tips here so I am lucky to not need the cold weather gear. Oh, how I wish I could say that sometimes. But if you ever find yourself in the situation I hope you remember this information.